Dinner at Bubba Gump Shrimp Co. Does the name of this restaurant ring a bell? 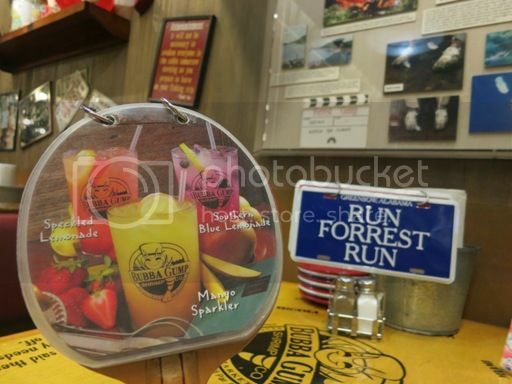 Well, that’s because Bubba Gump Shrimp Co. was inspired by Tom Hanks’ movie Forrest Gump based on the novel of the same name. 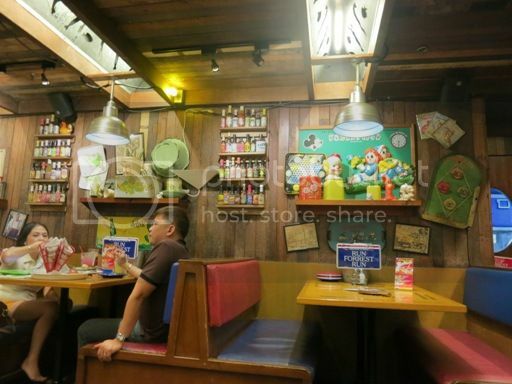 The first time I was at Bubba Gump Shrimp Co. was more than two years ago to meet up with friends and former colleagues. We had a delightful dining experience there, but I wasn’t able to return to this place again. We were in Greenbelt two Saturdays ago, and I saw this place again while we were looking for a good place to eat. Hubby wanted to try their food offerings, and so it was decided that we would have our family dinner here. We ordered Kentucky Bourbon Wings, Dixie Style Baby Back Ribs and Bubba’s Baked Seafood & Rice. These are breaded chicken wings with Kentucky bourbon sauce. You have two choices here: regular or spicy; we chose regular because we actually ordered these for the little boy. Our son liked these very much, and he kept on saying that they were yummy. They were sweet and crispy. I only had one of these, however, because I’m not really fond of sweet dishes. 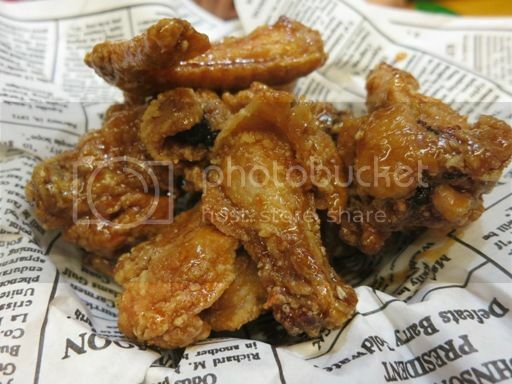 These Kentucky Bourbon Wings were served with carrot and celery sticks and blue cheese dip. These are slow-roasted baby back ribs, served with fries. This was hubby’s choice. We got this for a discounted price because they had a promo when we visited. Hubby liked the flavor, tenderness and juiciness of the meat. I chose this because I wanted something healthy. 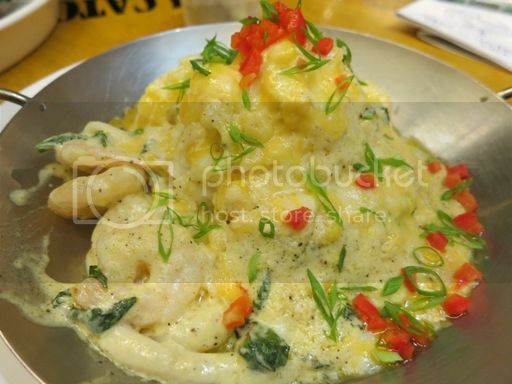 This is baked rice with shrimps, calamari, fish and spinach in Parmesan cream sauce, topped with cheese. This was okay but not something to rave about. I actually found it a bit bland, but the presentation was really nice. We had an overall good dining experience at Bubba Gump Shrimp Co. The place was cozy and homey, and the staff were attentive to our needs. 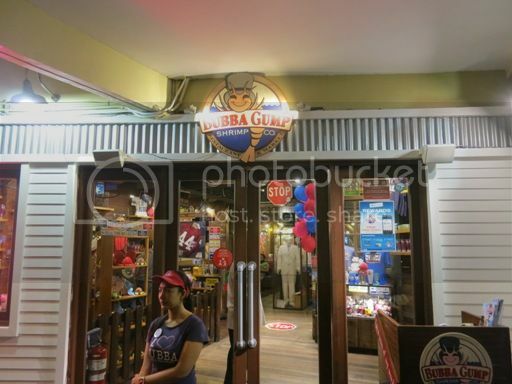 This entry was posted in American Cuisine, Bubba Gump Shrimp Co., Food Friday, Food Trip Friday, Greenbelt 3. Bookmark the permalink. 3 Responses to Dinner at Bubba Gump Shrimp Co. 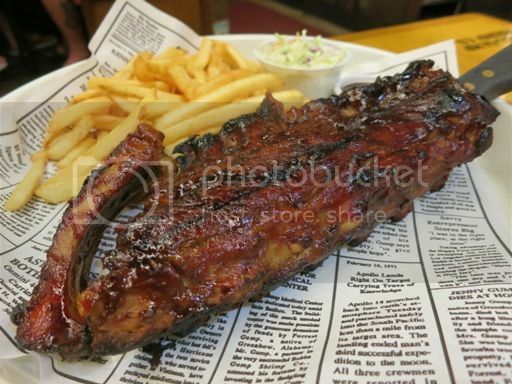 The Dixie Style Baby Back Ribs looks appetizing, I would like to try it. The baked seafood rice looks like seafood curry.